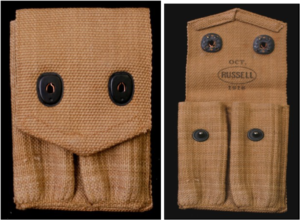 Officer’s pistol belt with a snap fastener for attaching an ammunition pouch and a saber loopMarked “Nov./ Russell/1918.” (Accession #2017.206) Russell also manufactured cartridge belts worn by enlisted soldiers, which usually had other equipment attached, such as canteens and first aid kits.With the on-going commemoration of Connecticut’s role in World War I, staff of the Museum of Connecticut History has focused its collecting activity on acquiring examples of the myriad products manufactured in the state in support of the war effort. 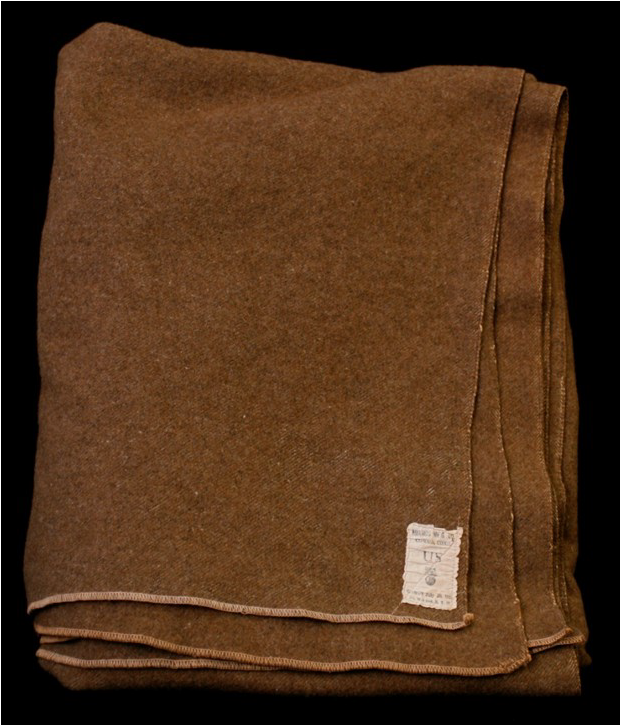 Although perhaps best known for the arms and ammunition made by Colt’s in Hartford, Winchester and Marlin in New Haven, and Remington-Union Metallic Cartridge Co. in Bridgeport, and hundreds of smaller companies around the state contributed mightilyto the effort to keep the country’s soldiers well-equipped for the duration of the war. 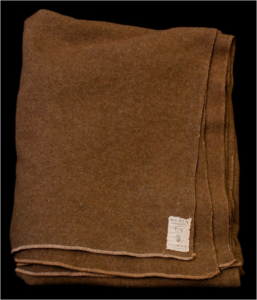 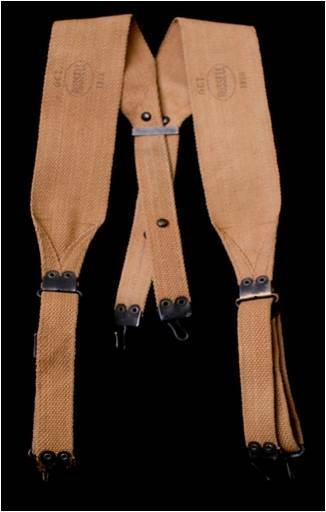 The Museum is also collecting examples of equipment made elsewhere that was used by Connecticut soldiers. 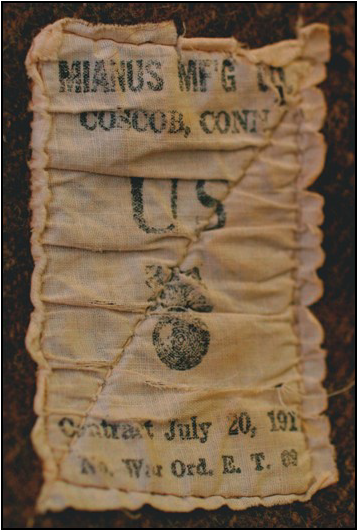 These recent acquisitions augment the large World War I collection assembled by State Librarian George Godard, who convinced dozens of Connecticut World War veterans to donate their collections of war souvenirs to the State Library in the 1920s and 1930s. These collections consisted primarily of artifacts such as battlefield pick-ups, French post cards, and German Pickelhaube helmets, but virtually no Connecticut-made military equipment. 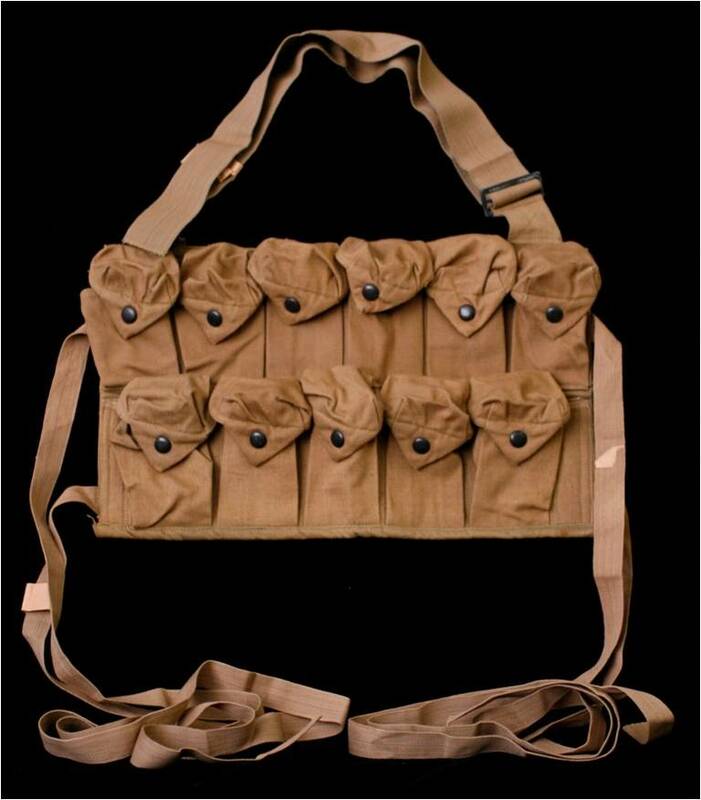 Model 1910 suspenders were used to hold up and distribute the weight of the cartridge belt.